Both of my boys love Tiger Kicks and I am always so excited to take them. The masters have taken extra time for one of sons who has been having some issues at school. I have also seen them work with children with special needs and it has touched me to see how much they care about all the students. Even Dad has thought about signing up! Every single day our daughter asks if it's a "Tiger Kicks day"! She recently had her birthday party there and it was absolutely wonderful!! The instructors are phenomenal - enthusiastic, encouraging and fun! The best there is! The Masters are truly amazing and yet humble & grateful! They care deeply for their students!!! Tae Kwon Do is a lifestyle for my entire family! Together, we maintain a spiritual and healthy life! I started studying at 39 yrs old instead of just watching my kids. Work hard, train hard....you CAN do it! We are family at Tiger Kicks having honor, loyalty & respect for our Instructors, students & all people! I highly recommend for anyone who wants a fun way to stay in shape as a family! The enthusiastic masters at Tiger Kicks make the classes fun, energetic, exciting and yes.. hard. The kids learn the meaning of honor, discipline (they don't "baby" them) and working hard. The staff are professional, knowledgeable and kind - I have always found that they are willing to go that extra mile for their students and their families. Tiger Kicks feels like an extended family and the amount of students of all ages who stick with the program is a proof. Taking classes with the kids will create a life time memory for all. I worked with Master Jung-jea Kim several years ago as a master before moved to MA. He is one of the most respectful masters I have ever met. I have so much respect for him and I am so happy that he is creating a positive changes at Tiger Kicks. I wish the best for Master Kim and those who are training their mind and body via TKD. Great energy filled atmosphere. All of the instructors and staff are friendly and helpful. 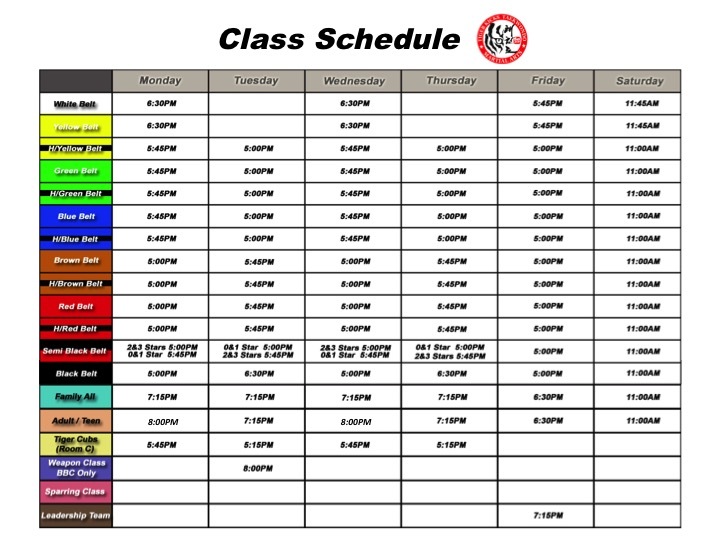 The classes have the perfect balance of fun, exercise, discipline, and encouragement. All 3 of the boys love going here, and I can see positive gains in all of them. What a fantastic program and a terrific group of Masters and teachers. My son is always so excited to attend the classes. He has learned so much and continues to progress with every class. They have helped build his confidence, as well as taught him about the importance of respect and academics. I love how everything they do is met with a positive attitude. Just an all-around fantastic place for anyone who wants to learn!